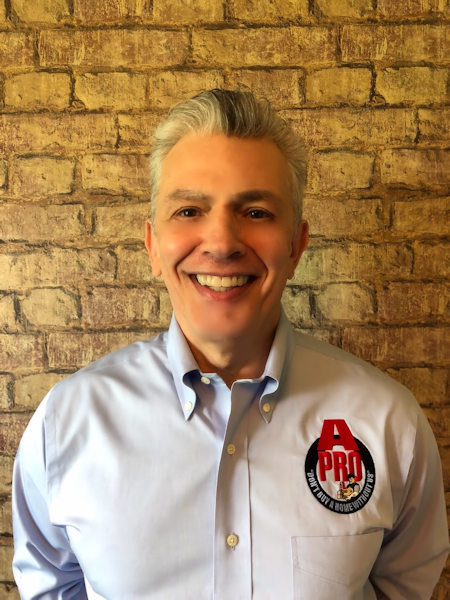 Welcome to A-Pro Home Inspection Rocky River Ohio, a company with more than 25 years of experience performing thousands of certified inspections for home buyers and sellers. Call us first. You can expect courteous and trusted service from skilled, licensed and insured inspectors. It has been A-Pro’s customer pledge since our very first inspection. We know our customers demand accuracy as well as value. That’s why our complete inspections come with a free $150 Foundation Level Survey of the home; our exclusive ironclad 120-Day “If We Don’t Report It, We Repair It” guarantee; the latest technology, including Aerial Roof Inspections; and attractive bound reports with photos of the home, provided within 24 hours. We come highly recommended by organizations like the Better Business Bureau, Home Advisor, and Angie’s List. FROM AVON TO LAKEWOOD, WESTLAKE TO NORTH OLMSTEAD, NORTH RIDGEVILLE TO LORAIN WE’RE HERE TO SERVE YOU! Tagged a-pro, a-pro home inspection, a-pro home inspection Northern Ohio, apro, Buyer to Buyer Home Inspection, certified home inspectors Northern Ohio, commercial building inspector Northern Ohio, home inspection checklist Northern Ohio, Home Inspection In Rocky River OH, home inspection Northern Ohio, Home Inspection Rocky River, home inspections Northern Ohio, Home Inspector in Northern Ohio, home inspector Northern Ohio, home maintenance inspection Northern Ohio, home renovation inspection Northern Ohio, home seller inspection Northern Ohio, Home Sellers inspection Northern Ohio, how to prepare home for sale Northern Ohio, Mold inspection Northern Ohio, mold inspections Northern Ohio, new construction inspection Northern Ohio, Northern Ohio certified home inspectors, Northern Ohio Commercial building Inspection, Northern Ohio commercial building inspector, Northern Ohio foreclosure home inspection, Northern Ohio home inspection, Northern Ohio home inspector, Northern Ohio home inspectors, Northern Ohio pre-listing sellers home inspection, Northern Ohio prepare home for sale, pre-listing sellers home inspection Northern Ohio, Radon inspection Northern Ohio, radon test Northern Ohio, radon testing Northern Ohio, realtor Northern Ohio, realtors Northern Ohio, Rocky River Home Inspection, selling your home Northern Ohio, structural home Inspection checklist Northern Ohio, termite inspections Northern Ohio.